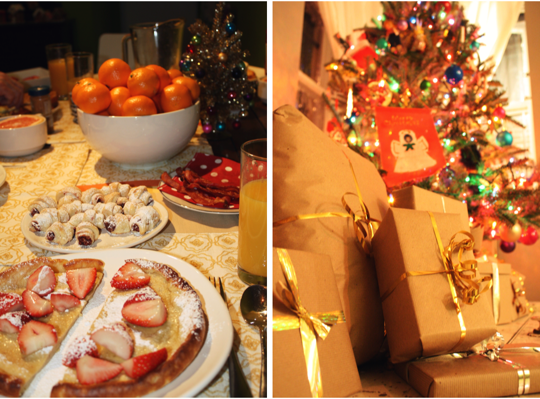 hope you had a merry happy christmas spent with loved ones and good food, too! p.s. baby didn’t show up on christmas! it was my only christmas wish…. besides wishing for a healthy baby and uneventful birth. :) baby, you can come any day you want now! we’re ready and waiting! Looks like you had a lovely Christmas, and I love your pressie-opening outfit! That's a great sweater! okay is that a gingerbread church? I LOVE IT! and the capital tree is pretty spectacular too! What a cute and magical Christmas, you all look lovely! Glad to see you had a wonderful holiday, gorgeous photos as usual! your amazing photography skills never fail to amaze me! 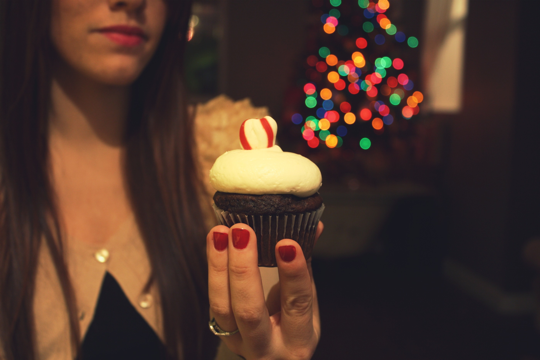 i esp like the pic of the cupcake with the out of focus tree lights behind it. very atmospheric! happy christmas! Love the baby things! Very cute! 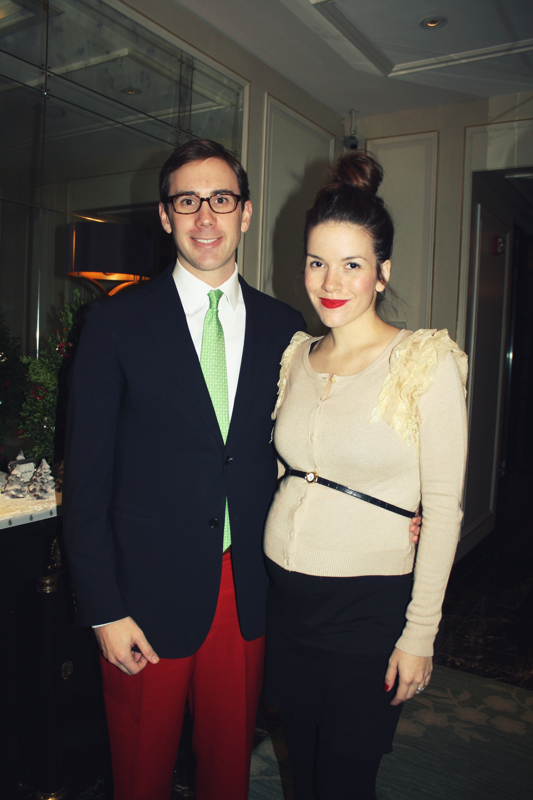 =) Also digging Joshs red suit pants.. very festive! When is the babys actual due date? awww baby's little romper is so cute! merry christmas. Yes, what a blessing a healthy baby is! :) Very cute outfit! 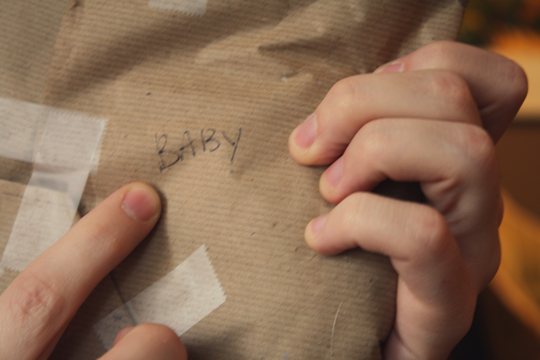 Aww, the baby has such cute things! Hopefully he or she will come sooooon! i loooooove the baby bump so much! 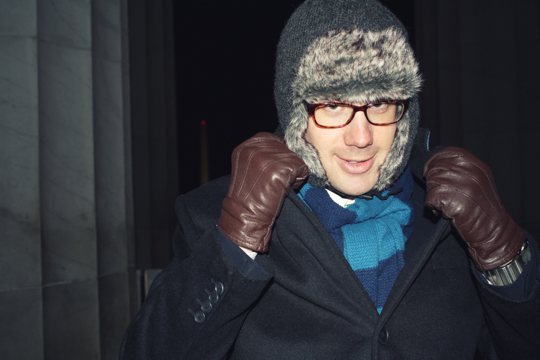 and i have to fly through DC tomorrow on my way back to europe so the flights canNOT be cancelled! 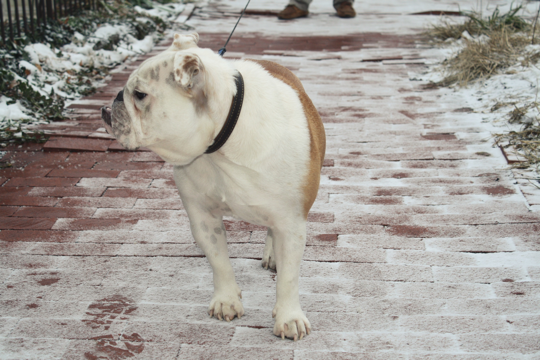 please no snowstorms yet! Those baby clothes are to die for. Ah! So darling! You two are going to be the most adorable parents ever. So exited for you!! And that gingerbread house is ca-razy! oh i LOVE brown paper packages :) And seeing the adorable baby items made me smile. Merry Christmas! Good luck with Baby! I loved that outfit he was holding! SO CUTE! Look like you had a wonderful Christmas! Perhaps a New Years baby? ;) Can't wait for him/her to get here!!! PS Love Josh's red pants. Naomi, all of your posts make me cry. I am not pregnant, so there is no excuse for this. It's just that all of your photos are so lovely, and all of your words are, too. P.S. 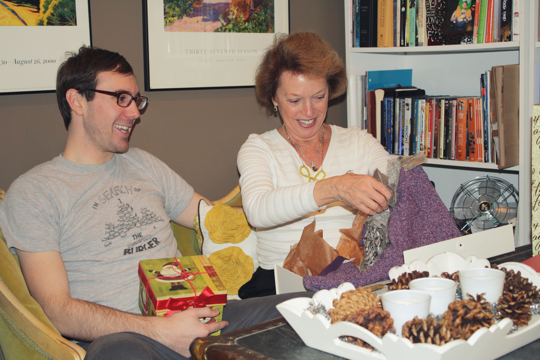 Where did you get the sweater you're wearing while opening presents (and in your last post,too)? It looks so cozy and I love/must have it! Love that little baby outfit! Oh my gaaahhh! That little baby onsie is too cute! Those elbow pads are perfect :) Glad to see you had a great day! I'm in love with the little elbow patches! I want some for my Phinny! Loooks like you had a lovely holiday and you still only look six months pregnant. Amazing! 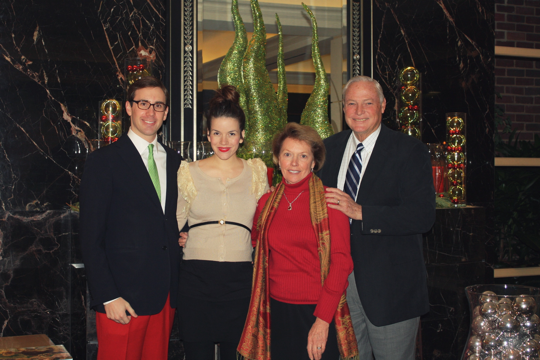 What shade/brand of lipstick are you wearing in the pic of you and josh with his parents? I love it! 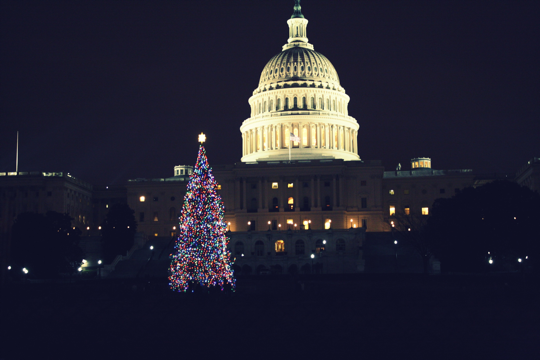 The Capitol and the tree! I love that one! Baby Anthro is so perfect. As is the cupcake. Good gravy, they're all so Christmas-y! looks like you had a beautiful Christmas! so exciting that baby is just around the corner…maybe he/she will be a New Year's baby instead! that little baby outfit is soooooo cute! Oh girl! You are looking so cute in these pictures! 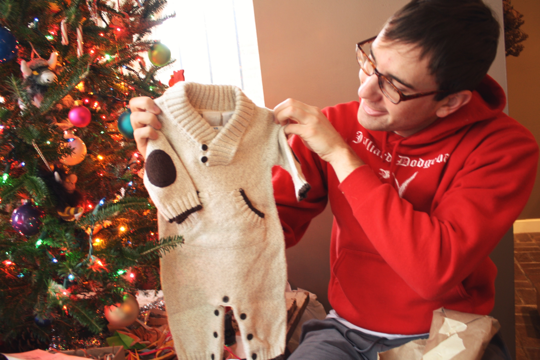 Also, I love the gift for your sweet baby. So darling. looks like a spectacular christmas! Seriously the most beautiful pregnant woman I've ever seen! How do you do it Naomi! Can't wait for your baby to arrive too. That's gonna be one lucky, good-looking baby. Ha! I kept wishing my baby would come on Christmas, but one car accident later, we got her the day after ;) Cute, cute family you have. That gingerbread temple is amazing!!!!!!!!!!! That baby spoon is too cute. Hope these last few weeks go quickly for you! I second the bun tutorial!!!!! Your Christmas looks perfect aside from not having the little one show up as a Christmas present. AND I can't believe how grown up Kingsley is looking. Cute, cute, cute. 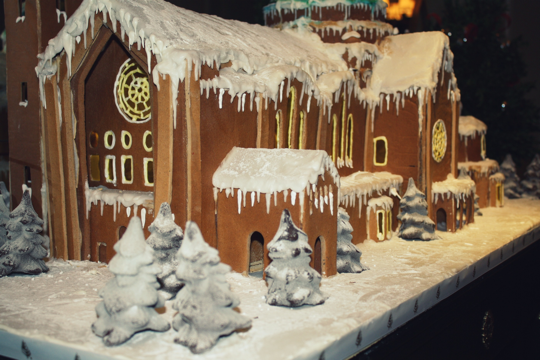 That gingerbread church is masterful! What a beautiful Christmas!! Sending prayers your way for the arrival of your sweet baby! those cupcakes are adorable! How do you get the frosting to do that!?!?!?! I try and try…. glad you had a great Christmas! hi i'm from chile i'm 19 years old and i reall really love your blog i come here very often. and I really hope to be lucky enough to have a wonderful family like yours, I hope your baby is healthy and as beautiful as you two, i think you are beautiful and i love your style, i hope i could find a husband like yours who semms to love you A LOT. Ps: Im sorry for my bad English. 1. What shade of red lipstick do you wear? And do you have any tips for wearing and/or applying? 2. I love the thin belt! Where did you get it?